She’s more stunning each time she makes an appearance. I know this isn’t earth shaking, just nice to have someone like Melania in the White House. There couldn’t be a more elegant, graceful, fashionable, lovely First Lady. She is simply stunning. That’s because she’s proud of the great nation we live in for what it was and is not for what she wants it to be. 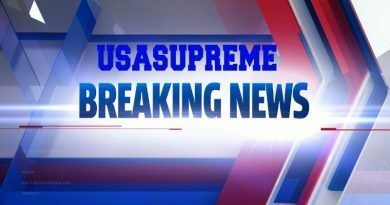 Today, as she departed the White House for Joint Base Andrews looked stunning again! 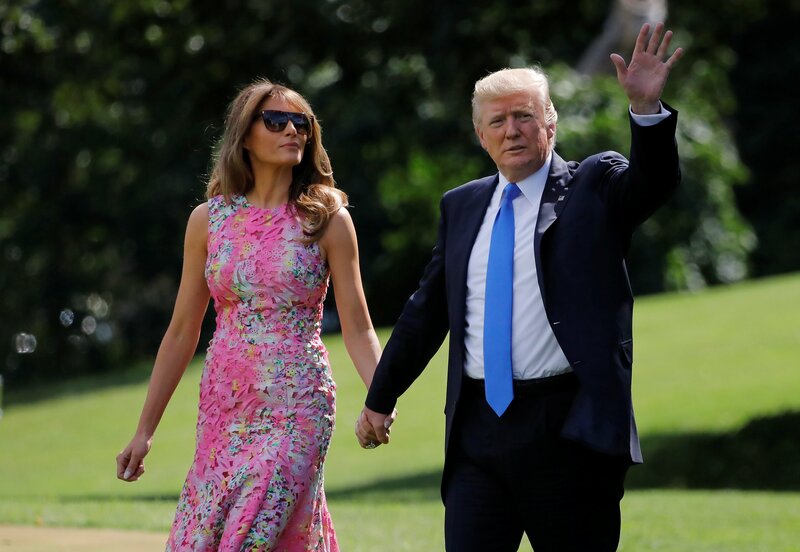 The president and first lady departed on their afternoon trip from the South Lawn of the White House and the dress Melania was wearing continued her trend of stunning summer attire. 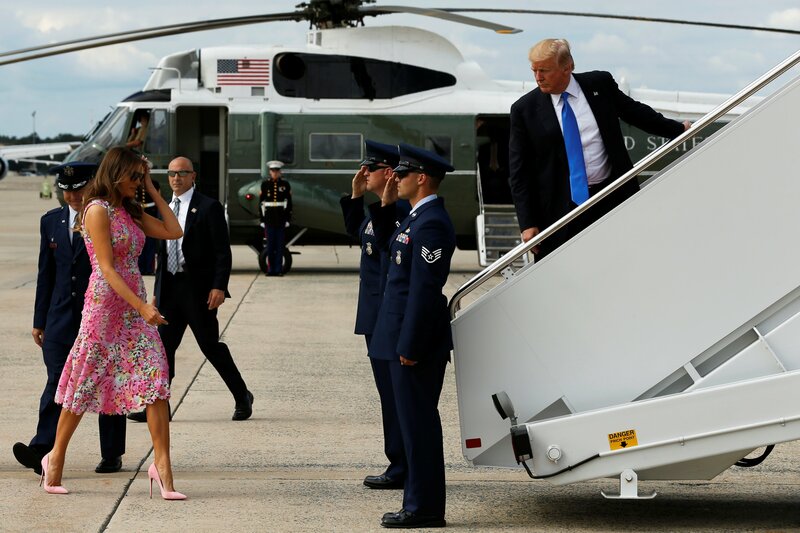 The wife of the president wore a form-fitting, floral-print dress with pink high-heels to match while boarding Marine One en route to Joint Base Andrews. FLOTUS has been partial to the fit-and-flare, shin-grazing silhouette as of late. 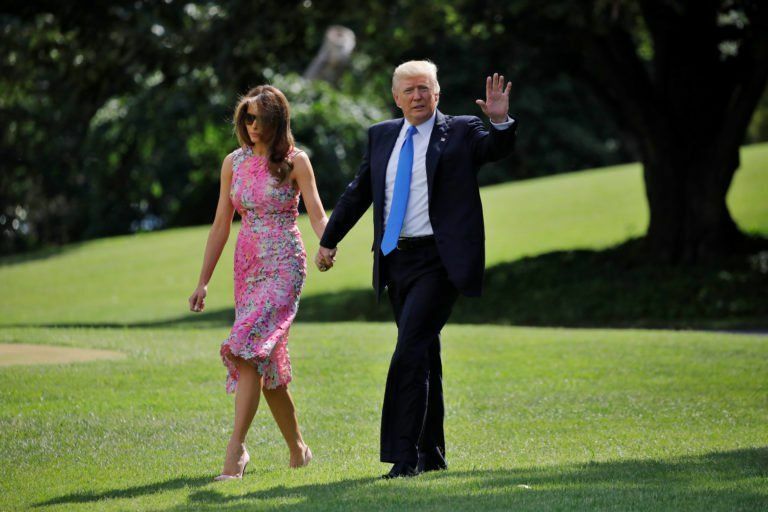 During her quick jaunt to Paris with President Donald Trump earlier this month, Melania donned a red Dior skirt suit in the same retro-chic shape; the following day, she wore a red-white-and-blue look designed by Pierre himself, which again highlighted her toned arms and hit just below the knee. During the colder months, the first lady was a fan of coat dresses in the same fit-and-flare shape. 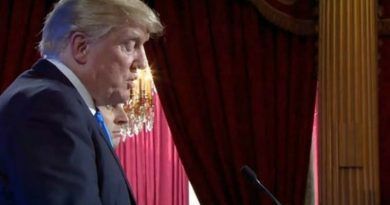 Melania eased into her role as the First Lady of the United States, but now that she’s living in the White House she has taken a more active approach. 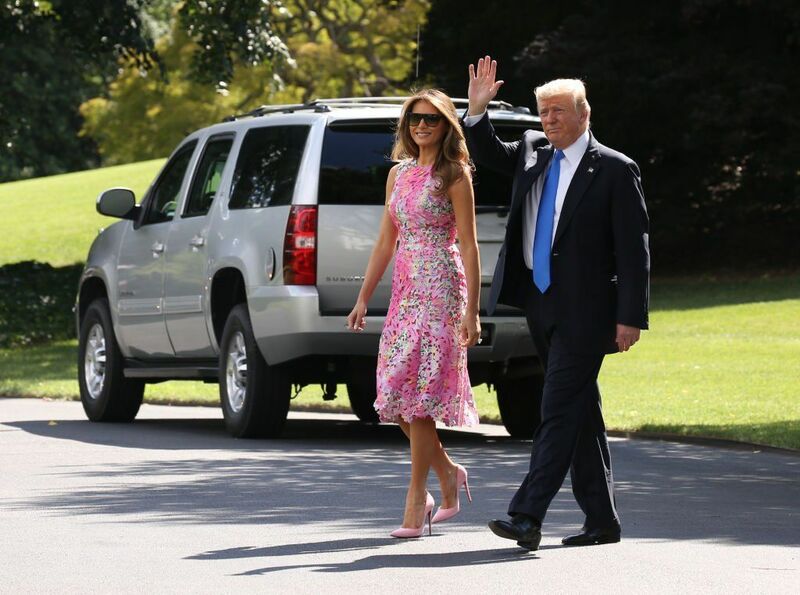 Mrs. Trump has accompanied her husband on each of his two foreign trips this summer, turning heads with her fashion choices all along the way. With every public appearance, she makes she is further solidifying her role as first lady as well as a worldwide fashion icon. A lot of jealousy and hatred here. 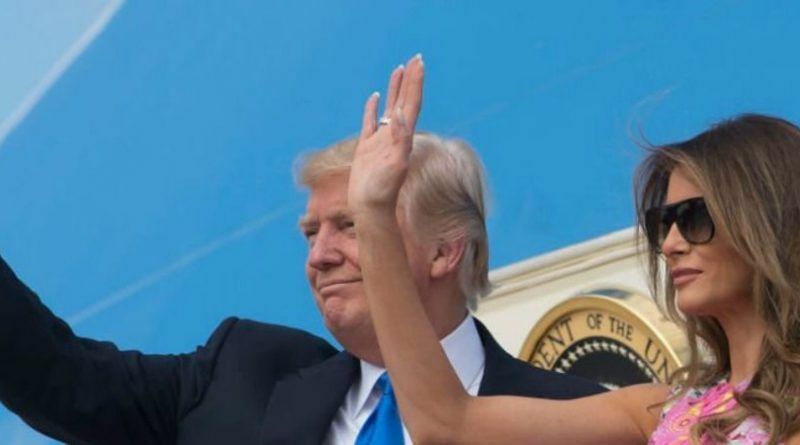 Why can’t you Liberals accept the fact that your leader is President Donald J Trump who has a gorgeous wife! 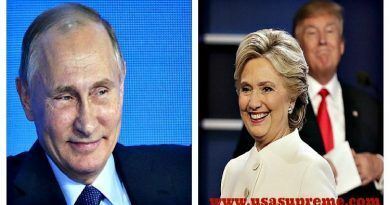 Not since Jackie Kennedy has the Whitehouse seen beauty and glamor!!! !